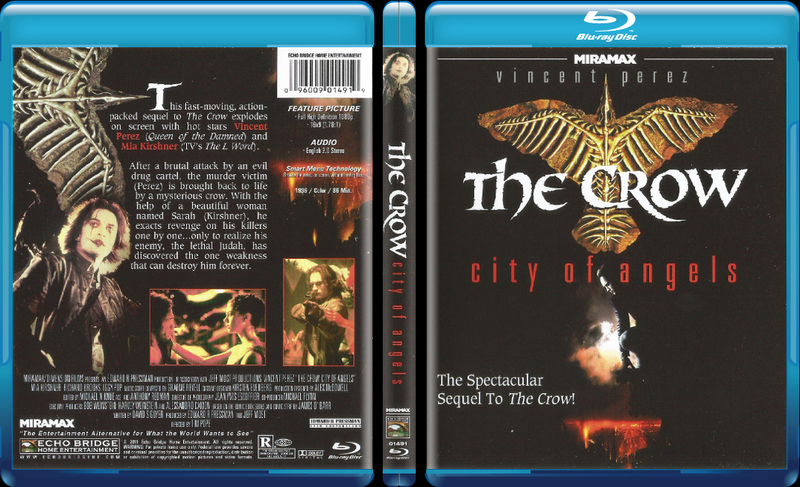 The Crow: City of Angels is the first in three sequels to the Brandon Lee epic from 1994. Well, the storyline is somewhat similar to the original; guy with girlfriend, or in our case with the sequel it's a child, dies and one year later; his soul is brought back from the dead to exact revenge on the druggies who caused their demise. I find the first two films in the series to be enjoyable. Sure, the sequel is very flawed, but enjoyable. Now, let's get started on the video presentation. The source is from a very outdated master of the film; probably ten years old or at the most fifteen years old. Dirt and debris and scratches pop up constantly, but I think the video is decent yet a little below average. At most it's a 2.5 to 3 and I think to be fair, it deserves a 3/5. The audio is a DTS-HD MA 2.0 track which sounds ok, but I've heard better. It too scores a 3/5. And there's zero extras what-so-ever. And this gives us an overall 2.5/5 for this release. It's a shame that there's no extras, but I am sure Miramax's new owners and Echo Bridge are out to make a quick buck on these titles and to be honest, I do intend on picking up several.